Using Facebook ads, you’re going to target the fans of your influencers. Take this scenario… If you make music similar to Phantogram and know their fans would probably dig your music too, then you should be targeting Facebook Posts to the fans of Phantogram. Currently, Phantogram has roughly 322,610 fans in what Facebook calls an ‘Interest Group’. These are people who have interacted with Phantogram (like, comment, share) and/or mentioned Phantogram on Facebook. If you reach 10% of that audience, that is 32,261 new ears and eyes. If 10% of that group click your Post and listen to your music, you can acquire 3,226 potential new fans. $5 a day for any length of time you’d like. You can spend more but $5 can go a long way. Facebook knows everyones interests, likes, and dislikes and it’s your turn to take advantage of that. By understanding how the ad system works, you can take advantage of the same tools and tactics used by large companies to growing your fan base. As long as your ad isn’t sleazy and overtly trying to “sell” the listener it’s not. The golden rule is to be genuine, honest, and speak to your new fans in the way you want to be spoken to. Before we start breaking it down, let’s talk about the “Boost Post” button next to your posts on your Facebook Page. Though the button is easy to activate and works fine, it lacks certain crucial ad options that save you money in the long run – so, we do not recommend it. In Ad Manager, click ‘Create Ad’. We recommend Brand Awareness, Reach or Engagement. Click on ‘Objective’ type or hover over the “i” icon to learn description of each. An ‘Ad Set’ is a container holding individual ads. Select the geographic location where your ads will be shown. You can type in “Worldwide” to cover the globe or get more specific with countries and cities. Select the demographic or characteristics of your target audience. The more specific, the better. If the majority of your listeners are ages 18-30, then select that age group to optimize your budget to the right people. ‘Detailed Targeting’ is where you dive into the details. Input your “target” interests or topics (i.e. Influencers, Artists, Brands, Categories). As always, the more specific, the better the performance of your ads. Recommendations of relevant topics or interests will show up as well, as you will keep a fresh list of targeted keywords and influencers with each growing campaign. Note that not all artists or topics will show up. Select your placement(s). Mobile, Instagram, Desktop (News Feed, Right Column), etc. Set your budget – either to continuously run or with end date and time. Effective ad performance is a very deep topic, but here are some tips you need to know. Video ads are typically the way to go. The viewer can listen to your music and watch the video while linking to your website or landing page for additional information. It’s a good 2-for-1 deal. Where does the link lead? What is in it for them? Is it visually appealing and informative or just eye candy? Capturing viewer attention is crucial, as the Facebook newsfeeds are crowded with cat and political posts. Ask yourself what will make them pause for your ad — the graphic and text should be consistent and visually captivating, and the video should start with a bang! Once your ad is running, keep tabs on the performance. Track how many views, clicks, engagements (likes/comments/shares) are aggregating in the Ad Manager of Facebook Business. Test out different videos and images to see which ones perform the best. The smallest changes can make a big difference. There you have it. One trick for gaining more listeners and growing your fan base using Facebook Ads. Give it a try and let us know if it worked for you. 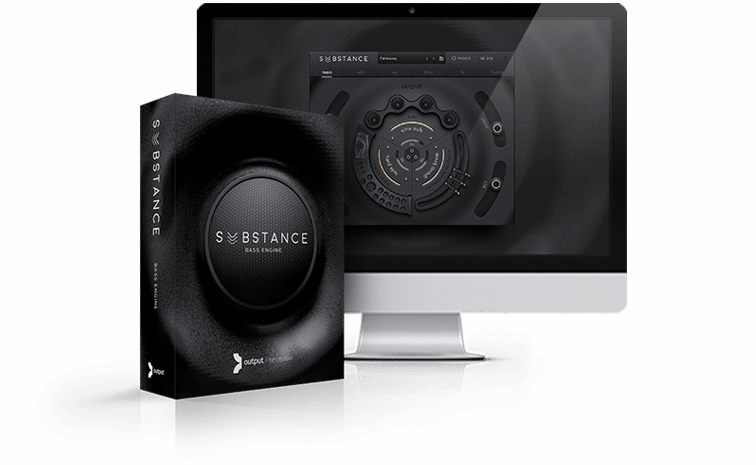 SUBSTANCE is a deeply produced bass engine — combining heavily processed electric and acoustic basses, real brass sections, the dirtiest analog synths, and insane sound design to make your low end sound unlike anything you’ve heard.